We study the generalized rigid groups (r-groups), in the metabelian case in more detail. The periodic r-groups are described. 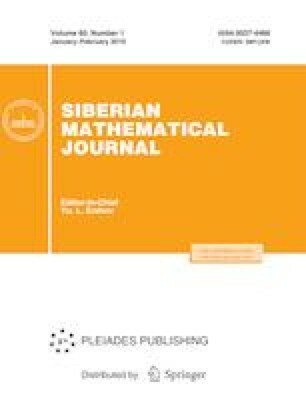 We prove that each divisible metabelian r-group decomposes as a semidirect product of two abelian subgroups, each metabelian r-group independently embeds into a divisible metabelian r-group, and the intersection of each collection of divisible subgroups of a metabelian r-group is divisible too. The author was supported by the Russian Foundation for Basic Research (Grant 18-01-00100). Translated from Sibirskii Matematicheskii Zhurnal, vol. 60, no. 1, pp. 194–200, January–February, 2019; DOI: 10.17377/smzh.2019.60.116.